James Shaw Jr., an electrical engineer hailed as a hero after disarming a rifle-wielding gunman during a mass shooting at a local Waffle House earlier this year, has been named the new honoree. 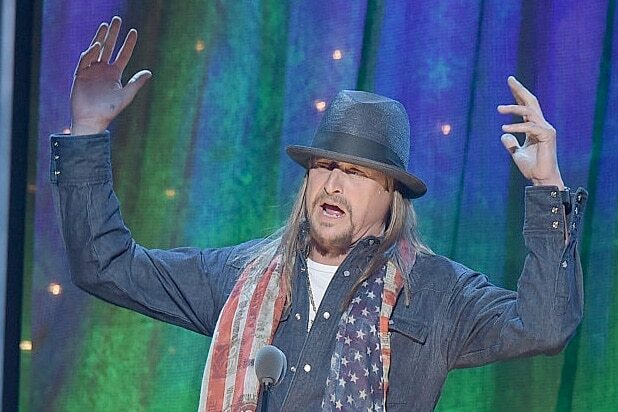 Rock’s exit comes after the Nashville mayor’s office issued a statement saying that Mayor David Briley might skip the parade due to Kid Rock’s involvement. “When you have the grand marshal of what’s labeled Nashville’s Christmas parade saying hateful things on national television, the mayor obviously does not want to be included in an event with someone like that,” city spokesman Thomas Mulgrew told the AP. Reps for the star, who briefly flirted with a run for a U.S. Senate seat in his native Michigan last year, did not immediately respond to requests for further comment. Doocy quickly moved into damage control, chiding the musician and apologizing to viewers on air. “You cannot say that. We apologize for that,” he said.